Those people who are into practice of playing some sports and exercising live a much healthy and better life. Sports such as running and playing football, badminton are beneficial to health as they away the coronary ailments from life and help in maintaining mental as well as physical well-being. Though it is an amazing physical exercise, it leads to entertainment. Activities like stretching, jumping, aerobics and outdoor games can be an effective workout. Sports boosts up the energy keeping you fresh the entire day. Playing sports since childhood strengthens the bones and helps in toning the body muscles. A regular exercise keeps you energetic and increases the stamina. Kicking and football and cricket lead to strengthening your legs as well as arms. Swimming is the best workout for the entire body as it offers overall fitness. Researchers have shown that focus and concentration tend to increase with the help of hitting games like badminton, tennis and cricket. Sports involve competition, losing and wining which develops team spirit abilities in kids. The competitive and participative spirit can also be developed. Sportsman ship is the most important thing that kids learn by playing sports. While playing, they plan the strategies which keep their brain active. Sports are helpful in keeping your attitude positive towards life and make your stronger. Everyone should be aware of the importance of sports in maintaining health. Sports help in developing social skills. They teach you to play together in a team with proper coordination and communication. Sports are confidence building factors. Victory in a game can boost the confidence more. Discipline can be built in the players with the help of sports. The moving activities involved in sports can reduce your chances of getting ill and can increase your life span. Researchers say that having a good and healthy diet along with playing sports and exercise can cut down the chances of getting diabetes by almost 60 per cent. 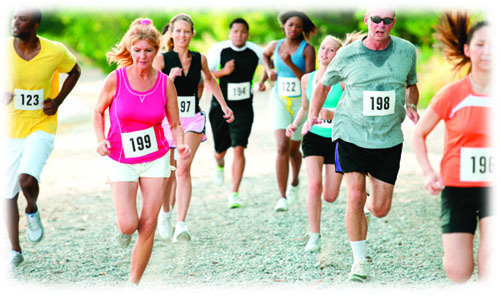 Sports are very beneficial for women after menopause so that they can fight with osteoporosis effectively. The importance of sports in maintaining good health involves increased blood flow to the entire body including the brain. Researches show that daily exercises cut off depression and anxiety level and provides quality sleep. The physical fitness is necessary for brain as it secretes endorphins; these are the chemicals that help in fighting with emotional stress and physical pains if any. Playing common games is the best way to increase the self-esteem. It is not necessary to play any particular sport; any kind of sport can give you physical fitness. Any sport helps in burning calories while playing and burns the unnecessary fat. If you are obese, playing sports along with proper diet can give you amazing fitness. Ranking squash and cycling are the most physical exercises that offer good health. One can get rid of physiological disorders by playing regular sports. Sports come with good exercise and recreation; they help in maintaining psychological and mental health. Sports relax your body and mind which is very beneficial and is worth playing it. So now you are concern about the importance of sports in maintaining good health, wear your shoes and get set and go!